The battle for Albion is heating up! As guilds are falling left and right, others step up to the mark! Time passes a little differently in the world of Albion Online. Only a week has passed since our last War Report, but an age of wars and conflict has unfolded. Many Guilds are rising higher upon the foundations that they laid for this beta however some have already fallen from grace. 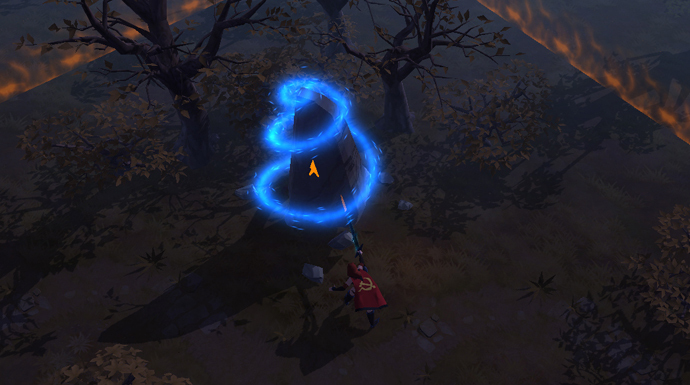 Yet not all is set in stone, for this Beta has just begun and there will be many more tales to tell. Those who fall now have plenty of time to regain their footing, while those at the top also have to be careful, for one slip could result in an unprecedented decline of which there may be no recovery. [Reign] Red Army and [Reign] Envy have almost driven all opposition off their island in the Outlands. 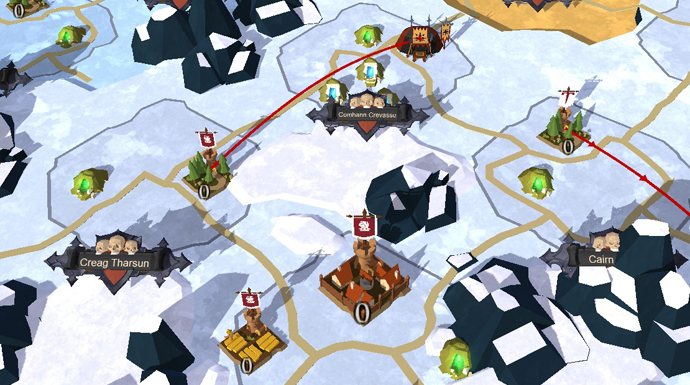 With only a few non-friendly territories left, Red Army has begun expanding its borders across the seas to the far North. Successive gains has landed them with quite a few territories in a very short space of time. All of this made possible due to a very successful strategy coming in this test. "The idea to settle in the middle continent was to have an area which we could secure, so our players could have more freedom when running around or gathering" said KingMojo of Red Army. When asked about the lack of competition he added, "Looking back at it, it's still a good plan, however, we were not contested as much as we would have liked. 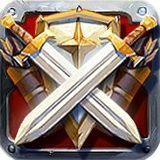 If we didn't go out looking for PvP and GvG's, we would not find much action." I don't know if we can blame the Reign alliance for being too confident, as so far they seem certain to repeat the success of the last Beta test. At the writing of this article, they are in possession of 70 territories between them. "Right now we are fighting Nilfgaard, that has always been Shiro's main target" was the final response from KingMojo, detailing Red Army's overall plans and their next goal for this beta. Will their unrelenting advance be halted any time soon or will a lack of competition continue for the duration of the Beta? The Tryhards Alliance [ZORN and T I T A N S] completed their early game goal of securing a vast swath of land in the Outlands by defeating the FEAR Alliance [Lingua Mortis, Spain, Brasil Forces, UNDEAD, TheSwarm, Insane, Bewahrer der Welten, Scheiterhaufen]. In terms of numbers, this is an incredible achievement seeing as the FEAR Alliance, with 522 members, is twice the size of the Tryhards who only have 268. A testament to good communication, commitment and dedication to a combined goal. "To get some action, instead of just grinding all day, we formed some groups to go looking for some PvP. To do this, we bought the resource territory in Carm Choin and launched an attack on Lingua Mortis' farm territory in Ban Salach. Lingua Morits countered with buying the resource territories in Scoat Fell and Gaunt Moor to attack our farm territory in Savage Pound and our resource territory in Bentback Pit. Also Scheiterhaufen launched an attack from Chaladar Fissure to Carm Choin. Surprised by their aggressiveness we prepared for the GvGs next day." After a few setbacks and some good performances early on by the FEAR Alliance, ZORN and T I T A N S responded showing great resilience. Winning 9 GvGs and only losing 2 in total, had the Tryhards sitting pretty. The FEAR Alliance, on the other hand, was sent back to Royal lands. Perhaps they will make a comeback at some point in this test, only time will tell. For those of you keeping up with the reports, the Rival and Exodia conflict is turning out to be one of, if not the best rivalries of this test. Since literally day one, these guys have been fighting tooth and nail, and for the spectators; it has been absolutely fantastic! Though, it appears that the action is coming to a close as [Rival] AEGIS is left to make its last stand a long with [Rival] Purple Dragons, [Rival] Myrmidons and [Rival] Jackal. Although now, on the back foot, AEGIS has been putting up a tough fight and as a Guild, which has an incredibly long history with Albion Online, they won't go down easy. The overall tally of GvGs between Exodia and just AEGIS, stands at 19, with AEGIS winning 8 of those. If they wish to remain, the Rival Alliance will have to improve a considerable amount before they are eventually overwhelmed. 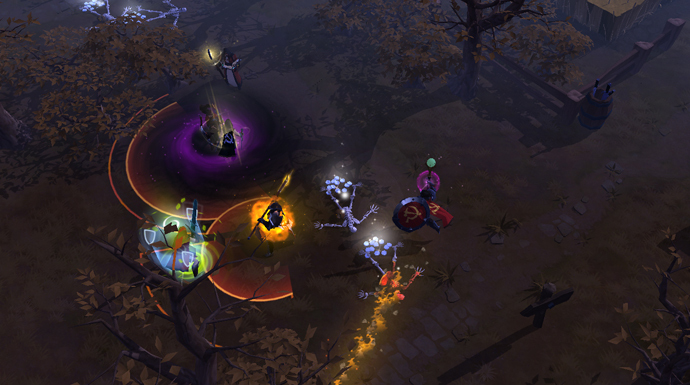 "We wanted to test ourselves a bit as this is our first time working together on this scale in this game, but we are made up of a number of old guilds that have done this before in other games, so we know what it takes. And this is War... you can't go part-way. Our whole team has committed to this and the majority of our efforts are focused on this to test our resolve and forge our team." Will Exodia look to fully remove the Rival alliance from the Outlands? "Rival is an alliance that we would like to see destroyed" stated Rook. He added, "It's a bit personal with guilds like Aegis, whose members tend to talk a lot of smack, so anyone who joins them is our enemy and we will attack their territories at every opportunity." So if we take these comments in to consideration, time is most definitely limited for the Rival alliance. Will they survive another week? [Update] In an unforeseen turn of events, the Rival Alliance has ceased to exist. Aegis, who were the largest remaining guild from the Rival Alliance, has now joined forces with Chicken Kiss and Vendetta. The news doesn't end there though, as the V4 Alliance, with its new guild, has launched a heavy offensive against the BIG Alliance. One conflict ends, only to bring about the coming of another. We will keep you updated on these events as they unfold. Deep in the Outlands, in a remote area which has been relatively quiet, there has been an awakening. You may be noticing a recurring a theme, there is no love for your neighbours in Albion Online. The Only Alliance [Devils Pact, Paterno, KDS] and Vendetta of the V4 Alliance [Vendetta and Chicken Kiss] have been at each other throats for most of the past week. A number of large skirmishes has left quite a few corpses upon the bloodied ground. Almost daily, there has been combat between the borders; a show of force by both sides, you may say. With nothing on the line or being lost by either one, it is impossible to see a clear winner. There has not been any GvGs between the two parties, as of yet. It is unknown whether either side has a plan for their neighbouring guilds. Do not let this fact fool you, things don't stay quiet for long in Albion. Is an alliance on the cards, as both seem to be hesitant to pull the trigger? Or could it just be the calm before the storm? One of last beta's most predominant guilds, Retribution, has lost its last territory in the Outlands to [ZERG] Zero Quality. After a short stay in the black zones, the guild is looking to gather its wits and force its way back out there. However, it may take them some time. 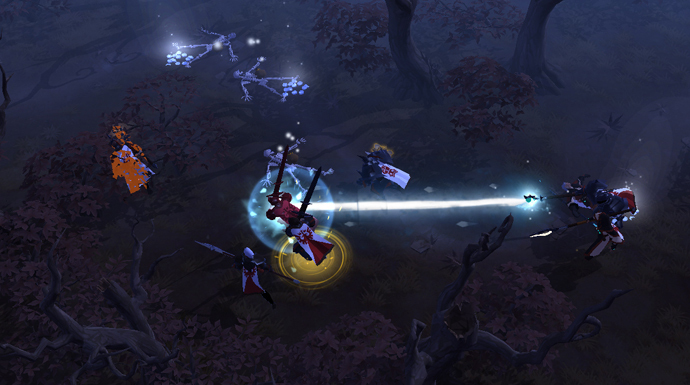 Retribution spent a short spell in the Rival Alliance before either being removed or leaving themselves. I have been unable to get an official comment on this issue. Zero Quality, after this victory, is now in a fantastic position to turn its sights elsewhere. 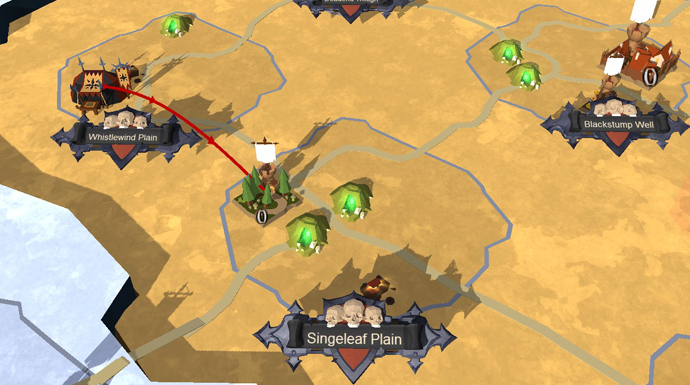 At the moment they are looking to clear out some of the last Rival strongholds in Steamspittle Steppe, which currently belongs to Purple Dragons. With the Exodia Alliance to the South or the Big Richard Alliance to the north, they have plenty of choice in regards to their future expansion. 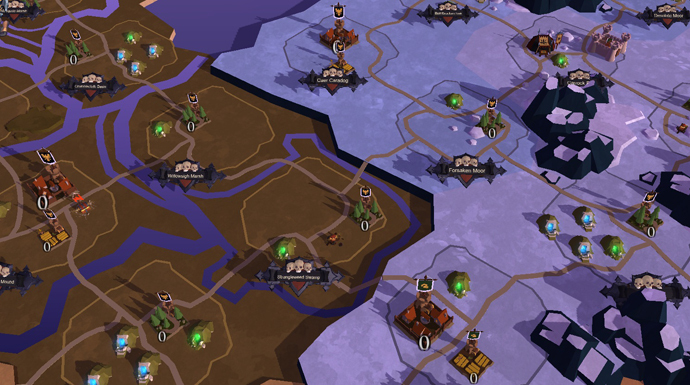 If you have anything to comment about the content covered in this week's War Report or have some war stories of your own, let us know in the comments below!